After a day of team meetings it was time to let our hair down. Dividing into two teams each group took on one of the Expedition Escape Rooms. My group tried to solve the puzzles in the Da Vinci room. We failed, but I think we did pretty well, considering that it was the first time in an escape room for three out of four of us. I was pretty pleased with my own performance, considering that such puzzles are usually not my thing. Dinner was at Bent Spoke, a microbrewery whose menu ticked most of the hipster buzzwords. Only one person could finish their Texas chilli dish due to the heat. 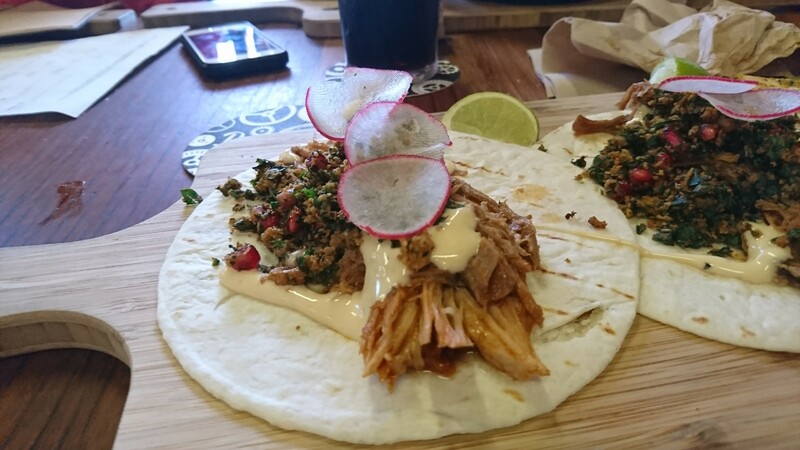 I had mild pulled pork tacos which were good enough but a bit insubstantial. Back late at the hotel, glad the car has a GPS to navigate around the dark Street.